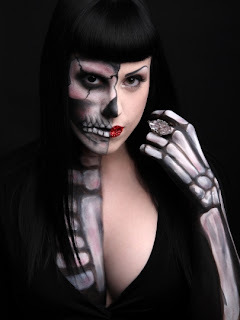 KAT VON PIRE | Make-Up Artist: Don't pay full price for make-up! I've compiled a list of brands that offer a professional discount program to make-up artists and industry professionals. This is a fairly complete list and up to date as of June 2012, but I'll of course keep updating it as programs change and other brands jump on the bandwagon. The majority of these programs are free but the odd ones have yearly fees (for example, MAC and Dinair), but all do have an application process in which you have to provide professional requirements to be approved. Each program is different, so click the application links to see if you're eligible. To see the full list, visit my Pro Discounts page! I'll try to keep it up to date for you guys.